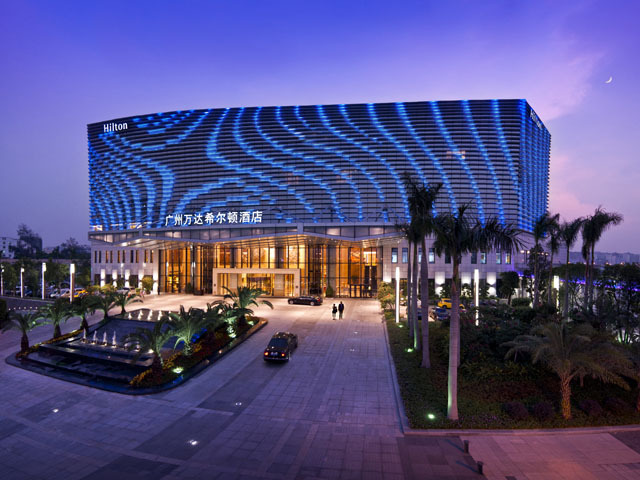 Situated at the Baiyun New Town and at the foot of Baiyun Mountain, the Hilton Guangzhou Baiyun hotel is a 5-star luxury hotel with convenient transportation to whether central business district, shopping areas, Canton Fair Pazhou Complex or city scenic spots. The hotel is only 3 minutes’ walk from metro station, about 15 minutes’ from the prosperous Tianhe CBD, 20 minutes’ from Canton Fair and Baiyun International Airport. With pleasant environment and Wanda Plaza close by, Hilton Guangzhou Baiyun hotel is surely an excellent choice for staying in Guangzhou. 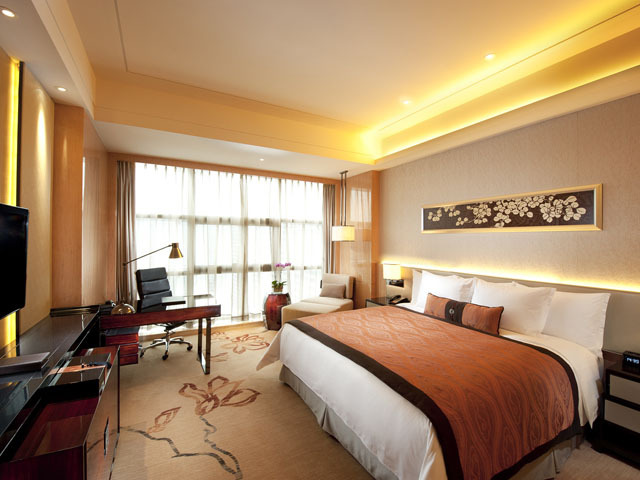 The 308 modern rooms and suites are all spacious, elegant and well-equipped, all of which offer Asian sensation. Charged broadband internet is available. The hotel offers a space of about 3,220 sqm for holding either meetings or banquets. The 6 restaurants and bars in different styles serve various delicacies from Eastern to Western. There are also facilities for guests’ fitness and entertaining, including an indoor swimming pool, spa, a fitness center, sauna, and many more. The hotel offers 308 modern rooms and suites which are all spacious, elegant and well equipped and in Asian style. Charged broadband internet is available.